How many horrid king single beds have you seen? I know I've seen a lot!! Our society has a tendency to think of children’s bedrooms when we’re discussing king single beds. But in fact there are lots of teen rooms and guest rooms which only have room for a king single bed. On top of this, it’s also incredibly hard to find attractive king single beds. There are four times more single or double beds available than king singles. So my mission is to round up the grown-up king single bed frames available in Sydney/Australia. I have narrowed it down a bit but looking at mostly white and coastal options instead of solid timber and black as I find this is more popular with my clients. What's your favourite? Or have you seen any other nice king single beds? If you have spotted a good quality coastal king single bed in your travels then please comment and share with us all. I have always loved Saturday Indesign because it’s a great excuse to stroll around Sydney streets visiting the showrooms of all the fabulous interior suppliers I love but don’t always get the time to go visit. I took a chance and brought my 1 year old with me, which had both perks and challenges! It’s a great ice-breaker when you have a gorgeous girl smiling at all the staff but you also need more patience and muscles when your little one decides to wriggle out of the pram! I have always found it hard to get around to every precinct. It’s a shame Sydney is so large and that the design stores are quite scattered. Or maybe I should blame the traffic or lack of parking! In any case today I managed to get to Chippendale, Waterloo and Surry Hills. I had the best intention to get to the Galleria but just ran out of time. Im contemplating heading back in again tomorrow….hmm tempting! I started my day at Special Lights where I always do for some breakkie and DQ Round table where the topic was “Emerging Design Personalities”. Apart from the beautiful lights, the most memorable thing in this showroom was the half naked man in the window! I actually walked right past him twice and only realised a few minutes later. Then I headed to the Chippendale precinct via SeehoSu. And I have to share with you my 3 obsessions from SeehoSu. Next I went to the Waterloo Precinct. I’m currently on the hunt for some Black tapware. This is proving difficult because although quite a few were released in Milan in April, they haven’t made it over to Australia yet. 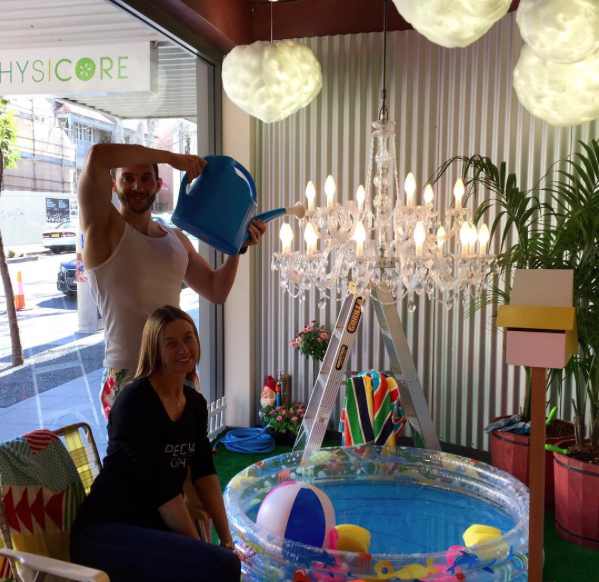 So while in the Waterloo precinct I checked out Roger Seller and Pure Interiors for some inspiration. Roger Seller had three ranges of Black tap ware - Arq, Mare Nero and Pinch. They ticked the box of being Black but didn’t get my heart racing. They had one aged brass option but it wasn’t as intense I was looking for. However the thing that got me excited was the stunning rose copper, it was so delicate and sophisticated. You have to do yourself a favour and go look at it in person. Online doesn’t do it justice! Pure Interiors are an importer of Italian products and they had a stunning range of stainless steel tapware that came in eight different options. Gold, Silver, Brass or Black in Matte or polished. Which is awesome! How often can you customise the finish of your favourite tap! Pure Interiors also have some really cool wallpaper designs that can be customised. They offer a free service for Designers where they will mock up the wallpaper in an elevation for you to reduce or enlarge the scale of the pattern as per your requirements. This is the one I’m looking at using for a client – Svalbard. Its got a worn timber look. While in the PYD Building I visited Mother of Pearl and Sons, who are suppliers of door hardware. 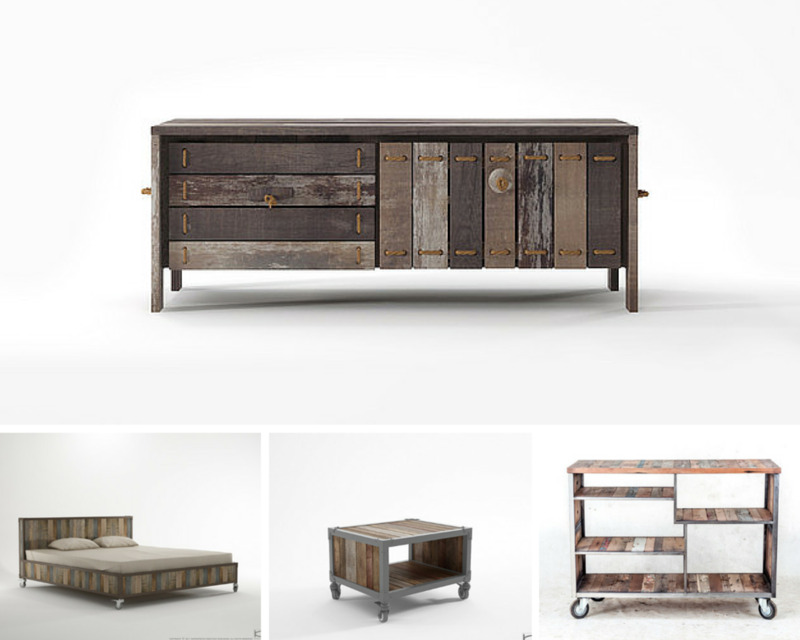 They have a huge range of products in a variety of styles, from the uber formal to the relaxed industrial style. I would highly recommend heading over there if your looking for something more unique! All in all I’m definitely a fan of coming on a Friday. The showrooms weren’t too cramped and I felt as though I could take my time. There was so much to see I have had to limit it to my highlights! Did you go to Saturday Indesign 2015? I would love to hear your favourite product, supplier or story. After researching magazine racks for a client of mine I realised there is seriously slim pickings out there. Who would have thought that it would be so hard to find attractive magazine holders? So hopefully the collection below benefits you too! 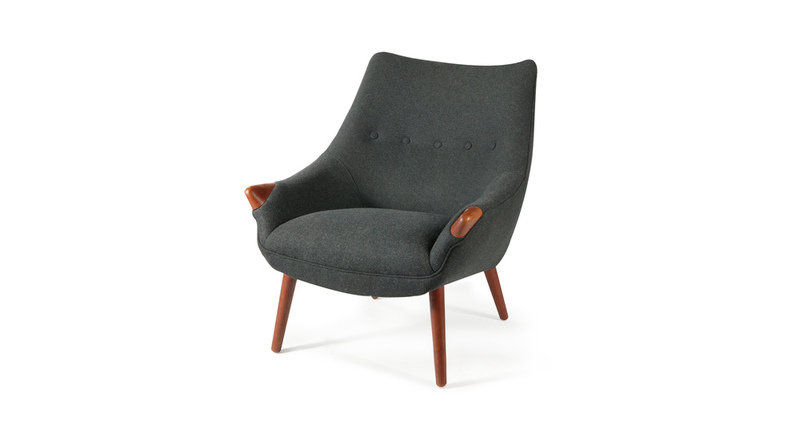 For this round up I was looking for ones that would suit a modern/Scandinavian home. And we didn’t need it to have a table surface as we already had nest tables in this space. I also didn’t want anything wall mounted as we didn’t have a lot of wall space. But that being said I will probably do a round up of these another time, as there are heaps out there. And I’m going to finish with one that doesn’t seem to be available in Australia yet, but is just gorgeous!! So fingers crossed it gets over here soon! I am sure it’s going to go viral. It's multifunctional, it's compact, it's comfortable and it's beautiful! What's your favourite? Or have you seen any other cool and cheap magazine racks? If you have spotted a funky magazine rack in your travels then please comment and share with us all. I remember my first visit to a clients home in Sydney. I came down the steps, through the front door and then walked into the foyer space (which was actually a landing). The first thing I saw was a life size brass dog taking up a good portion of the space. Let’s just say it was memorable. 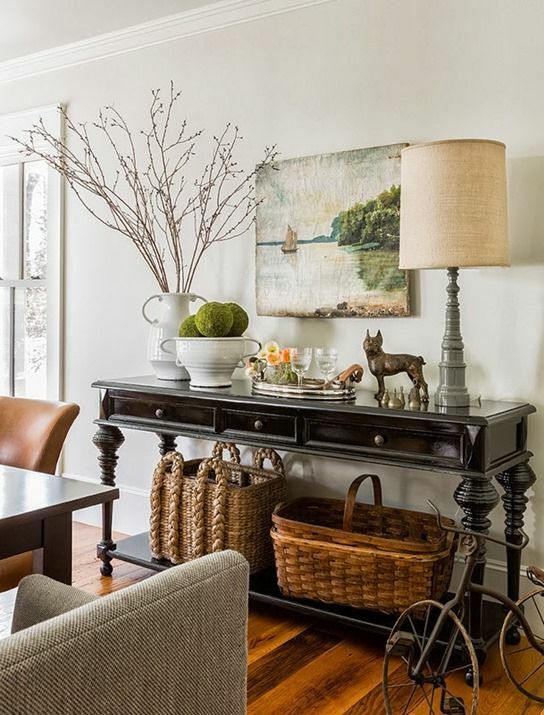 Now you might not have a dog statue in your entry but you probably have too many knickknacks, ugly coat/hat racks, lots of shoes and a scented candle. Or something along those lines. So today we’re going to discuss cheap, quick and not too scary ways to spruce up your entry/foyer. Lets make it somewhere you want to come home to, and somewhere your guests will enjoy visiting. But lets also have a little bit of fun with it! because its only a small room, that you don’t ‘live’ in all day long. So go a little crazy and invest in making this your happy place. An inspiration to all who come and go. First things first you need to get your canvas right. That’s your walls, floors and built in structures. Then you can add lighting, accessories, furniture and art. One of the cheapest ways you can make impact is through paint. Try a moody charcoal feature wall, paint the door in a colour, or paint the walls in half strength or double strength to the rest of the house. And if you’re really daring paint the ceiling in a colour! This would look amazing. Pick a fabulously patterned wallpaper and do the entire room. If you’re trying to keep the cost down just do a feature wall or add a chair rail and do the lower portion of the walls. You can source these from your local paint shop or online. It’s great to incorporate some storage into your entry space to give a ‘home’ to items before they get scattered throughout the house. Consider a bench seat with shoe storage or a coat closet. But the main rule here is to use doors on your cabinetry and don’t have open shelving. Because lets be honest bags, shoes and keys are hard to keep tidy. You can either talk to a local cabinet maker or get something from ikea and retrofit it into your home. Whether it’s a chandelier or a pendant you can create ambiance through lighting. It gives more personality than a regular ceiling light and your guests get an instant sense of who you are. To get you started try Ozlighting, Matt Blatt and Space. Why not add a pop of colour and personality through an interesting runner that guides your guests into the home. Rugs really help an interior feel lived in. They are particularly good for hiding bad floors and drawing the eye away from other imperfections in that zone. Freedom have a huge range of affordable rugs, or you could try Zanui and West Elm. Dress up your walls with some fun coat hooks that will look great when nothing is hanging on them. Your local hardware shop will have plenty of options. You could also get creative and spray paint them in a bright or contrasting colour or use an unexpected material like turned wood, umbrella handles or bent silverware. There is a reason you see console tables in most homes – they just work! I prefer to get ones with drawers so you can use one for keys, one for mail and one for grab-and-go knickknacks like sunscreen, tissues etc. Then on top of the console you can display decorative pieces. Domayne has a great range and I also love the ones from Regency Distribution. Baskets suit more relaxed entry foyers, particularly when you don’t have the option to build in any storage. They can be positioned in an empty corner for shoes or umbrellas, perfectly placed into a built in bench, or decoratively sitting under or next to the console table. 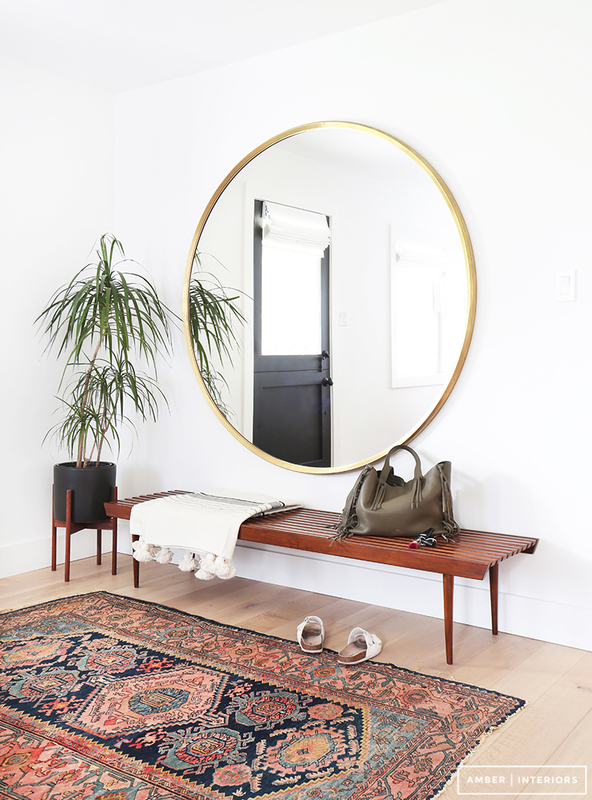 A mirror is a great addition to your foyer/entry because other than being a thing of beauty it is also incredibly functional. It’s a little known rule that mirrors near the front door are very useful. You can quickly check yourself before you leave, eliminating lipstick on tooth dilemmas. A mirror will also make the space fill larger and brighter by reflecting space and light. Try mirrorz online or By Dezign or your local supplier. Entry spaces are an excellent location to feature strong pieces of art. This is because there is less competition for the eye compared to other parts of the home. However if you go for a bold statement artwork, make sure you complement it with the other colours and accessories. Your entry is the first thing guests see so it indicates your personality and preferences and what better way to do this then showing your taste in art. As funny as it sounds I like a clock near the entry. I’m always racing from point A to point B and its nice to not have to go out of my way to see the time. 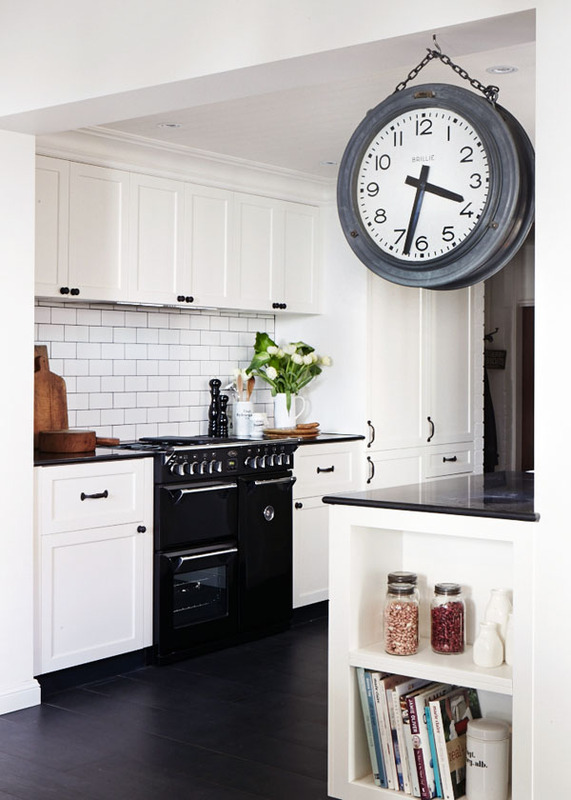 And there are some seriously gorgeous clocks available! Metallic, glass, timber, antique, geometric, there is something for every taste. I’ve found Oz Design have a good selection, but also keep an eye out in the boutique shops for these. If you have room for an armchair or even a chair then this is a great way to fill your entry. Its useful for taking shoes on and off, and is also a good way to vary the height/shape of the objects filling that space. For instance a console is often quite ‘square’ and a chair is often ‘round’ so the two complement eachother nicely. I would go for something really special here, either a vintage find or a beautifully upholstered newbie. When space is tight a pair of compact ottomans tucked under the console can be a lifesaver. It not only looks great but provides seating when needed. There is no rule here, absolutely anything is allowed – fabric, metal, wood, patterned, plain, textured…go nuts! This will form part of your console styling but is also where your guests will inevitably throw their keys, wallet and sunglasses. Any homeware or furniture shop will have these so make sure you’re picky on finding one that suits the mood and colour scheme of that room. A stylish console display starts with eye-catching vignettes on a gorgeous tray. You can choose any colour or material. The rule of thumb here is to have it as a contrasting colour to the console table so it stands out. I personally like shiny metallic, hand crafted timber or bright coloured ones. Just make sure you have fun with it! If it’s difficult to replace your ceiling light then a table lamp on your console is a great alternative. The fabric provides texture and the glow of the light provides warmth. Using a custom fabric will add personality and cohesion to your scheme. I love fresh flowers in a home. They literally add ‘life’ to the space. It gives a texture and fragrance that no other decoration can. It reminds you that there is life beyond these 4 walls, which stops us going crazy! Plus you don’t have to commit to colours and you can change it seasonally. Remember that the type of flowers you use will either make it feel relaxed or formal. Botanicals, sunflowers and gerberas might look more casual wheras roses and calla lilies look more formal. These are a great addition to your entry or console styling because they are free! It’s nice to consider the current season when decorating. So perhaps try dried leaves, cones or branches for autumn/winter, and succulents and flowers for spring/summer. The quantity you use will make it either subtle or dramatic. I love this option because you don’t have to commit to anything, you can change it over when you get bored and constantly try new things. So have fun with nature! Who doesn’t love a beautiful book? Books are great filler items on a console when trying to create a vignette of objects. I like using neutral colours so that they don’t draw too much attention away from your feature pieces. Styling unique ornaments on your console is a great opportunity to feature those items you often have hidden in the back of your cupboards and never use. Things like special wedding presents, artifacts from travels or just something you splurged on from a homeware shop. Just make sure not to clutter the surface with knickknacks, Start with 5-6 options and then add and subtract items until the whole thing looks cohesive. Now I know I joked about it at the beginning, but candles do have their place in an entry. But consider it part of the whole picture not a stand-alone item. And don’t just get a good-looking one, get a beautifully fragrant one to set the mood when guests are coming over. What's your favourite item to use in an entry? Is there something you can't live without in your entry/foyer? Leave a comment below with your thoughts. Understanding the anatomy of floors - what are the layers of floors? How are floors made up? It can be a confusing thing to understand, especially because different tradesmen are responsible for different parts of it. Your builder might talk about the joists and the basement slab, but your carpet supplier will discuss the underlay, and your tiler will talk about waterproofing. So before you start choosing your flooring it’s best to understand the anatomy of flooring so you anticipate the questions you will no doubt get asked. Jargon alert! There is a lot of ‘building terms’ in this article but hopefully the diagrams will help you to understand. Don’t forget to check my Renovating Glossary if your stuck. The layer of floor you normally see is just the decorative floor covering such as tile, laminate, carpet or floorboards. While the actual floor structure is hidden underneath. Let’s work from the top down. The floor covering sits on an underlayment. The underlayment is often a foam or cork product which creates an acoustic barrier and makes the floor soft to walk on. If you remove your floor covering you will find your subfloor. The subfloor is often made from a composite panel or plywood and it spans supportive floor joists. This subfloor layer is likely to be either large sheets or planks. The subfloor provides protection of the joists and acts as a strong base for the floor covering. The joists sits atop the foundation and are the frame that supports the subfloor. They are often supported at the midpoint by a beam or girder. Joists are sometimes tied together using bridging to create more stability. The bridging can be made from wood or metal. That’s it! Not too hard right?! However there are a few other scenarios I might warn you about. When the house is built on a concrete slab the scenario is slightly different. The subfloor is fixed on top of timber 2x4 studs. These studs are fixed to the concrete slab but with a layer of plastic sheet in between them and the slab. When tiling a bathroom you will need an adhesive layer and it is ideal to use a cement based underlayment as the subfloor. You may also want to consider heating cable for underfloor heating. Its time to get your fix of the hottest Pendants, chandeliers, LEDs and table lamps in timber, marble, copper and more! Never before has there been so much choice! Lighting Designers are pushing boundaries to create stunning pieces that interact with consumers and stir up emotion. Because we want more! Goodbye boring task lights, and hello flirtatious feature lights! The popularity of LED lighting has shaped the direction of lighting design. Smaller, brighter and adjustable LED’s allow for endless possibilities. We are also seeing materials used in ways never before possible, such as laser cut timbers and plastics, extruded glass and metals as well as lightweight concrete. During 2015 there will be something for everyone, from the very delicate and discreet right through to the bold and playful. I’m going to get right down to business because there is so much to cover! Gone are the days of LED’s being the new kid on the block, seemingly difficult and unknown. LED’s are more accessible and economical then ever before and through the prevalence of LED lighting pieces available it is clear that Designers have embraced this new technology. Whilst a majority of designs have incorporated LED technology it is the slim and sleek designs that really show it off. The popularity of both uniform and un-uniform clustered lighting is gaining momentum as an alternative to chandeliers. To achieve this look, pendants are grouped together creating a clustered effect. At times it is with the same material but different shapes, sizes and colours. Other times complementary yet different pieces made up of varying materials and shapes are grouped or scattered in a cohesive display. Now I know what your thinking,…blonde timber isn’t a tree that doesn’t get the joke! Think timber varieties like Oak, Beech and Pine. Whether it’s a pendant or a lamp you will find it either in natural finish or dipped in pastels or primary coloured paint. The beauty of blonde timbers is that they allow designers to display the form of their designs without the colour detracting from it. It is no longer aluminium leading the way. Copper is stealing the show! The use of copper is not just confined to the industrial look, it is now being used for everyone’s taste. Sleek pendants with extruded shapes, geometric wire chandeliers, quirky table lamps and unusual wall lights all in a shimmering copper. Over the past 12 months we have seen a shift in lighting designs where the once disguised components such as wiring, fittings and bulbs are all becoming predominant design features. Wires are used to create strong lines or add colour, light fittings are being dressed up in attractive materials and bulbs are now distorted into new and unusual shapes drawing all the attention. An elegant example of this is the Swarm light by Jangir Maddadi Design Bureau. The designer explains, “The respect for woodcraft in the Swarm Lamp hearkens back to a simpler, pre-industrial time when the creative process was just as important as the end product”. We have such high expectations now! I blame Apple and their intuitive designs. Lighting components twist, turn, pull and slide so a user can adjust not only the position of the light, but the intensity. This level of control gives a whole new meaning to task lighting. And where it gets really exciting is that designers have still managed to create interesting sculptural forms. Aesthetics are no longer compromised, thanks to thin wiring and LED’s. After seeing ceilings stuffed full of downlights for the past decade we now are enjoying a resurgence to decorative pendant lighting. We are seeing less bright coloured pendants and more solid black, with the occasional pastel. Crystal chandeliers have also made a come back but in a more understated and minimalistic way. Marble is no longer just for bathrooms! It’s now seen featured in all types of furniture and accessories and looks like it might stay in the spotlight a while longer. 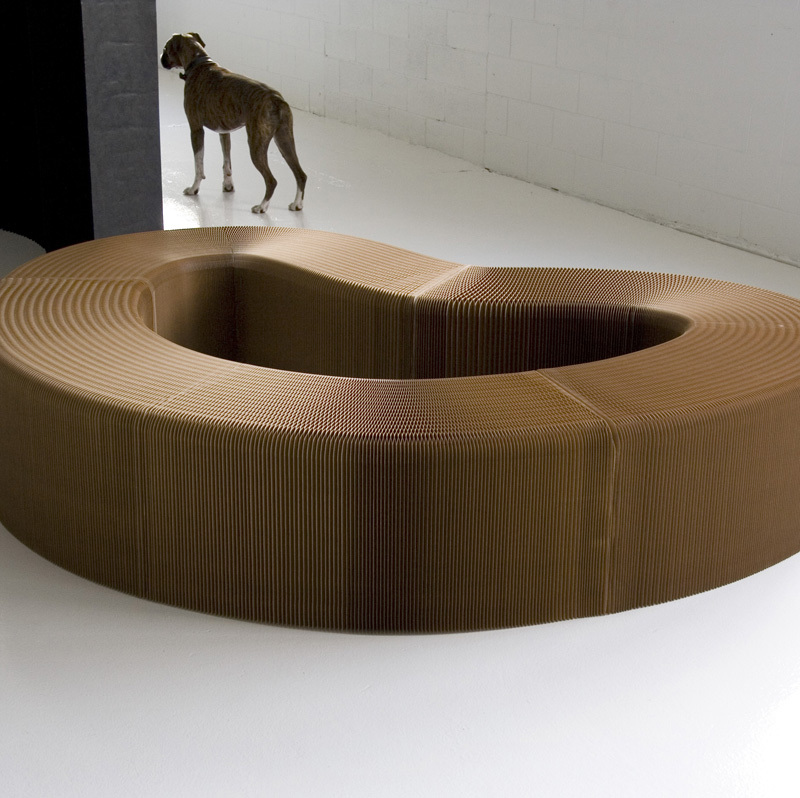 Designers have been sculpting marble into curved shapes that boggle the minds comprehension. Some examples include marble dunbells, table legs, fruit, Luigina Chairs and coat hooks. But the beauty of lighting means we get to appreciate both the sculptural form as well as the texture as it is illuminated. The trend of re-using, upcyling and craftsmanship has lead to a new playfulness with unique materials. Porcelain, glass, baskets, ribbon and PET are all popular choices for this emerging trend. The lighting designs are far from tacky and recycled. The materials are stretched, broken, wrapped and woven to create new textures and forms. Why stay in the dark?! When it’s so easy light up those dark corners of the house. Lighting and automation technologies have improved dramatically in the last decade, and better yet they are affordable. These systems used to be only for the mansions of Beverly Hills but now anyone with an Ebay account can purchase LED strips and switches and simply install them throughout their home. This is not just functional it’s beautiful! But PLEASE be careful to highlight the right things, no one wants a glowing toilet. It's such an exciting time to be selecting lighting. There really is something for every taste and function. Ok my lovelies, i'm making things super easy for you today. Here are my 10 top tips for choosing furniture. These are great general tips that you can keep in the back of your mind while out sourcing furniture. When it comes to the big items – bookcases, chests, sideboards, wardrobes, tall boys and consoles shop for quality not price. Ideally these are items you will buy once, so it’s worth the investment. This doesn’t mean that you can’t look for a bargain! Don’t fall for buying a set, in the bedroom or the living and dining room. The most interesting spaces have items that look like they go together but they don’t actually match. This is how you create a style. Go for combinations that look like friends not relatives. While silk and linen are beautiful they aren’t practical for years of use. Choose something that will last. Fabrics with a small amount of synthetic are more hardwearing. Consider patterned fabrics as they disguise stains more than plain fabrics. Remember that darker colours are more forgiving, and avoid white unless you want to be cleaning it weekly! When positioning your dining table near a wall you want to make it easy for people to walk behind a dining chair. So aim for a 90cm gap, but up to 150cm would be great. When installing a pendant light over a table the standard rule is 70-82cm above the table surface. The bigger the table the higher you should hang it so that the illumination can spread across the entire table. If the pendant you love is too small for a space then get a few more and cluster them together. When hanging pendants over an island bench, use 2 pendants for a smaller bench and 3 for a larger one, and hang them approx 55-70cm above bench height. When hanging pendants in a stairwell aim for a 45-60cm gap between head height and the bottom of the pendant fixture. If you are ever offered a family heirloom like an antique dining set or writing desk – take it! As long as you have the space, it fits well and you like it, why not?! It will bring charm and personality to your home. When buying a chair or sofa make sure you give it a good test first. Scoot back and forward and side-to-side to get a good feel for the comfort, height (ergonomics), squeaks and wiggles. This will help you figure out the quality of the piece and how much it suits YOU. It might seem cost effective but when you add up the time and materials you’re better off paying a little more for something in good condition. If it’s a small mark, it might clean up but if it’s badly stained just leave it. It might have a story. Avoid too many furniture legs in a room. For the ones you do have, pair them next to furniture without legs to ground them. Use fully up holstered Sofa’s, ottomans or chests to help create a visual barrier. Also you should find a common denominator to tie all your legged furniture together. Consider their shape, finish, style or texture and focus on one. Ok, so you might have just re-sanded your floorboards or just finished a renovation where you have installed hardwood floorboards. What next? It’s time to take care of them so they still look good in the years to come. One of the simplest things that’s often forgotten is to make sure you immediately clean up spills. Use a dry cloth, and allow the cloth to soak up all the liquid. Use a damp cloth to clean up the remainder of the spill and rinse out the cloth to keep it clean and dry during the process. Be careful not to over-clean as it will discolour your floors. If the spill fades your floors - you can re-apply finish to it, but make sure you lightly sand it first. Can I use a wet mop? Only as a last resort on sticky floors can you use a wet mop. But only do this if the finish is in good condition. Just remember that excess water can critically damage wood floors so its best to dry off with a towel. To prevent excess scratches and marks on your beautiful floors you should try and use protectors on all your furniture feet. They come in a variety of sizes, and the ones which come with nails and screws are much more durable. Make sure you buy the right size, type and shape as it is more likely to stay on and look good. Firstly, use a bare-floor attachment on your vacuum cleaner to vacuum the floors. Then use a hardwood floor attachment to get into the corners where the dust collects. If you have waxed floors you can apply more wax over the scratch and buff. If your floors have a waterbased varnish you can use a timber touch up kit sold at most hardware shops. My last and final tip is the most important! Whether you chose the finish/wax yourself or got your builder to, it is important to find out exactly what finish was applied to your floors. This will help you care for your floors correctly. Waterbased and oil based products will react differently to cleaning products. Use the guidelines provided by the supplier and then you can confidently care for your floors and keep them looking great!